We are forever inspired by the events in the lives of our customers. Recently several of the youngest ones are reaching the age of 1! We wanted to create a session befitting the celebration these precious little lives deserve. We were already in the process of working with Muddie Puddles (Check out her work here) on another cake smash session when she mentioned she had a party fabric she wanted to use. The carousel horse has been sitting in storage for years. When we saw the dress and the colors we just knew it had to make an appearance for the background of P's party smash session! These sessions are designed to give you beautiful portraits of your child while making it fun for the little one to participate in. Little P was delighted through out the entire one hour session. 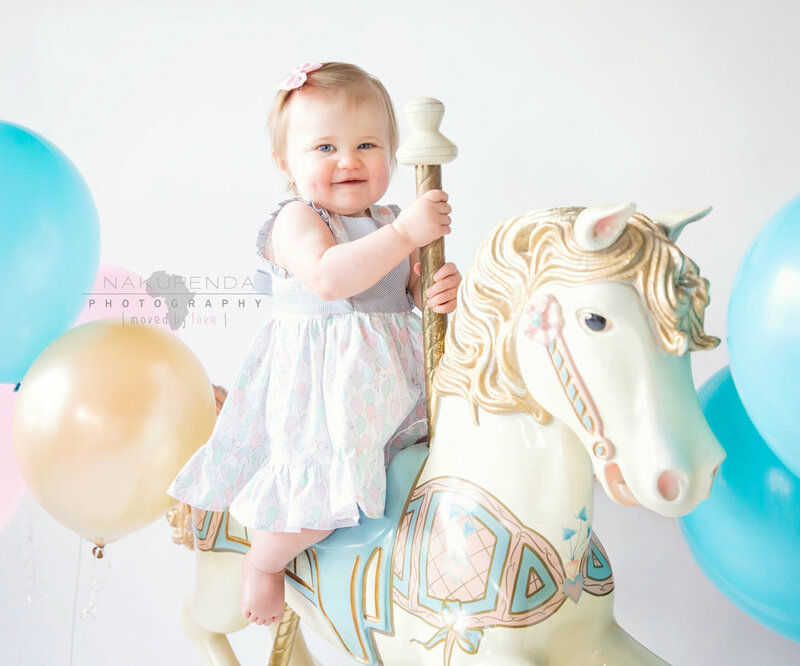 She loved exploring the carousel horse perching perfectly on the horse and posing for the camera. Then came the cake. P was sweet and careful to pull off all the funfetti pieces and frosting swirls tasting each piece. When we cut her a slice of the cake she really dug in! We wrapped up the session playing in the bath tub. P barely noticed the itty bitty rubber duckies bathing with her. The bubbles were definitely her favorite! She tried to catch them in her mouth as they drifted by. "😁 Nakupenda Photography shows her passion in photography every session. Katie is very creative and great while working with babies. 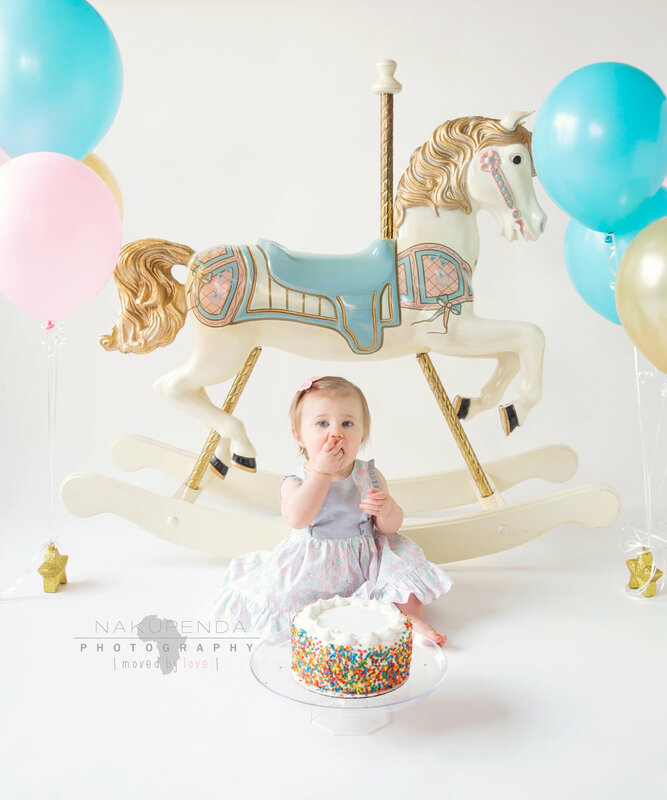 Every time she has photographed our child she has been successful in catching some of our most precious moments including newborn pictures and the latest, a cake smash for our babies first birthday. 😍"